***** REGULAR CAB 4X4 3/4 TON **** ONLY $15,995 *** SUPER NICE TRUCK! Here is the one you have been searching for. 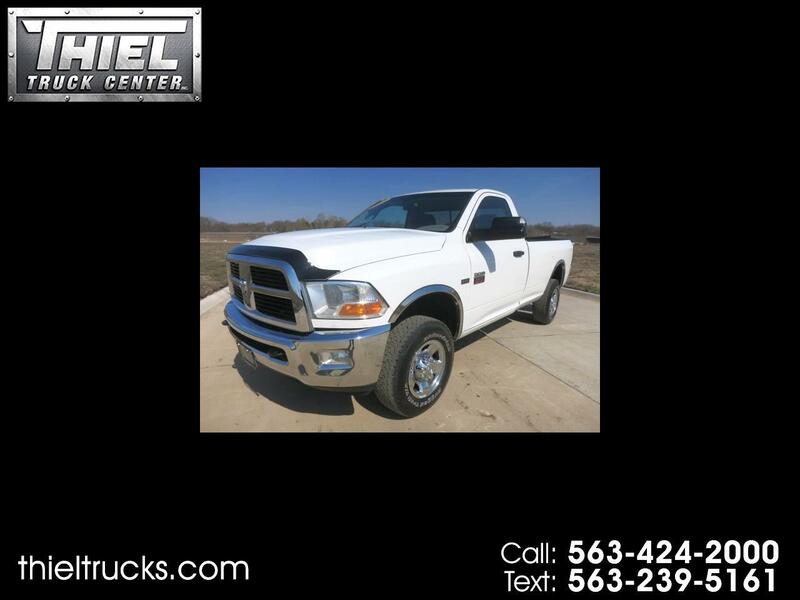 2010 Dodge Ram 2500 Regular Cab 4x4 SLT for only $15,995. This truck is very clean for the year and miles. It even comes with many options including the big 5.7L Hemi V8 Engine, Power seat, Chrome wheels, Tow package, Tow mirrors, Trailer brake controller, Remote start, Bug shield, and more. The Ram is also a Carfax certified accident free truck and comes with many service records. No matter you needs this truck is up to the task. These regular cab trucks sell extremely fast. This one will be no exception. Call or Text us now before it is gone. THIEL TRUCK CENTER is the Quad City’s Pre-Owned TRUCK EXPERT! We have the BEST Selection of trucks and SUV’s and always at the best prices. Be sure to see all our vehicles on our website at www.ThielTrucks.com We are conveniently located just 2 miles off I-80 on Hwy 67 in Pleasant Valley Iowa, near Bettendorf Iowa. Call us now at 563-424-2000 or TEXT us at 563-239-5161. Financing and Nation wide delivery available. Call for details.